Challenge yourself with this A-Maze-Ball Medium Maze Game! This sphere hold a challenging maze with a ball bearing inside. Carefully maneuver your way around the sphere to get to the end. Want more levels? Grab the red and blue sphere for an easy and a hard difficulty level. 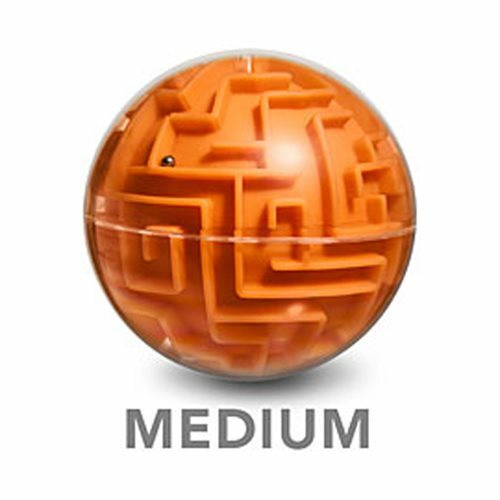 Have fun with this A-Maze-Ball Medium Maze Game! Measures about 4-inches in diameter. Ages 6 and up.